Sometimes the analogies of the Lord are hard to grasp. This one isn’t. One day Jesus explained to His followers that in order to be His disciples, they each must “take up their cross daily and follow Him.” (Luke 9:23) Everyone knew this meant carrying the wood of their own crucifixion. It must have shocking. This wasn’t the first time the Lord requested someone to carry wood for their own sacrifice. Abraham asked his son Isaac to carry wood up Mount Moriah. (Genesis 22:6) We often think of Isaac being a young boy who didn’t know what he was doing. But from the Jewish historian Josephus, we learn that Isaac was in his mid-twenties and knew exactly what he was doing. In obedience to his father he carried wood knowing he himself would be laid upon it and sacrificed. He lovingly surrendered his life in obedience to God’s command. I hope you are getting this. Each believer is required to carry the wood of their own crucifixion. I can’t carry yours and you can’t carry mine. We walk up the mountain alone in our obedience to the Lord. Some days not many sacrifices are made. We may even go for a time forgetting our obedience and commitment to carry wood. Then it happens… we are called to make a major sacrifice for the Lord. It may be a relationship. It may be a career adjustment. As the wood on our back grows heavy, we are reminded of what it means to a true follower of Christ. Carrying wood always means you are altar ready. You don’t have to spend days or weeks getting ready to turn things over to the Lord. The Holy Spirit doesn’t have to keep convicting you of the same old issues. No, you are ready daily to sacrifice yourself in complete obedience, because you carry around with you the wood of your own crucifixion. Are you carrying wood today? A few years ago someone passed out some large spiked nails with a purple ribbon attached to them on Easter Sunday. We were supposed to carry a nail with us to remind us of Jesus’ sacrifice. Nothing wrong with doing this. The truth is … I don’t have problems in remembering what Jesus did. His sacrifice on the cross is fresh with me everyday. The area I neglect is in carrying the wood of my own obedience. Hammer and nails are not my responsibility. I am only responsible for carrying wood… carrying my cross daily. We are called to be altar ready twenty-four, seven. 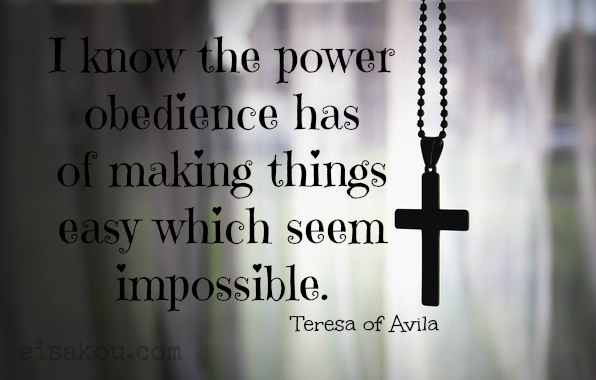 Jesus’ obedience is complete, but ours is not. We will not be judged on how many nails we carried… only wood. What are you carrying today?